Welcome to Hotel Island ! 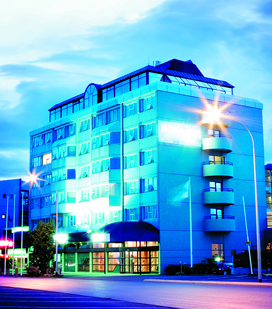 With an unrivalled location in the city's financial district, Hótel Ísland offers refreshing accommodation just three kilometres from the city centre. All our 119 expansive rooms feature Free Wireless High-speed Internet, and many showcase panoramic views of the city. This hotel in Reykjavik also provides a variety of on-site dining options, including Café Island during summer months, ensuring you stay comfortable and satisfied throughout your visit.